Management and leadership are two overlapping terms which confuse many people. Leadership and management are complementary for each other. 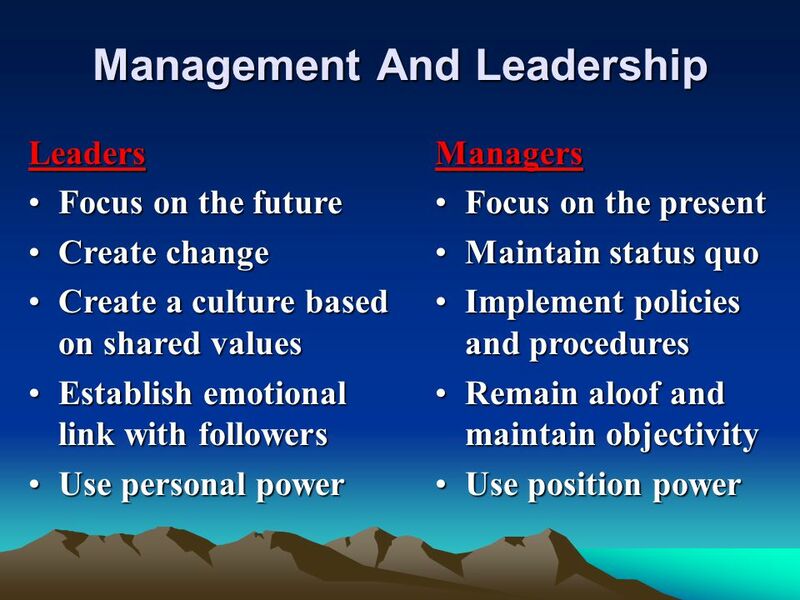 Both go hand in hand.... A new view of the four functions of Management: through the lens of leadership. The pace and scope of change in the world and organisations during the past 10 years is unprecedented. Management and leadership are two overlapping terms which confuse many people. Leadership and management are complementary for each other. Both go hand in hand. address the personal management skills a leader needs to balance focus with multitasking and to manage time in a productive, intuitive and results oriented manner.